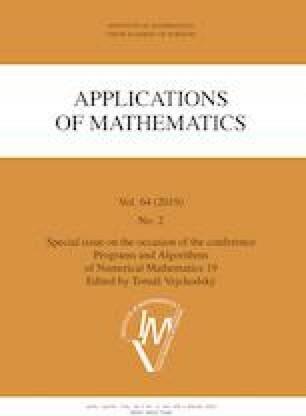 We consider the implicit discretization of Nagumo equation on finite lattices and show that its variational formulation corresponds in various parameter settings to convex, mountain-pass or saddle-point geometries. Consequently, we are able to derive conditions under which the implicit discretization yields multiple solutions. Interestingly, for certain parameters we show nonuniqueness for arbitrarily small discretization steps. Finally, we provide a simple example showing that the nonuniqueness can lead to complex dynamics in which the number of bounded solutions grows exponentially in time iterations, which in turn implies infinite number of global trajectories. This publication was supported by the project LO1506 of the Czech Ministry of Education, Youth and Sports under the program NPU I. The authors gratefully acknowledge discussions with Christian Pötzsche and Pavel Krejčí which led to the questions asked in this paper. They are also thankful for valuable suggestions of both referees and especially those of editor Tomáš Vejchodský.